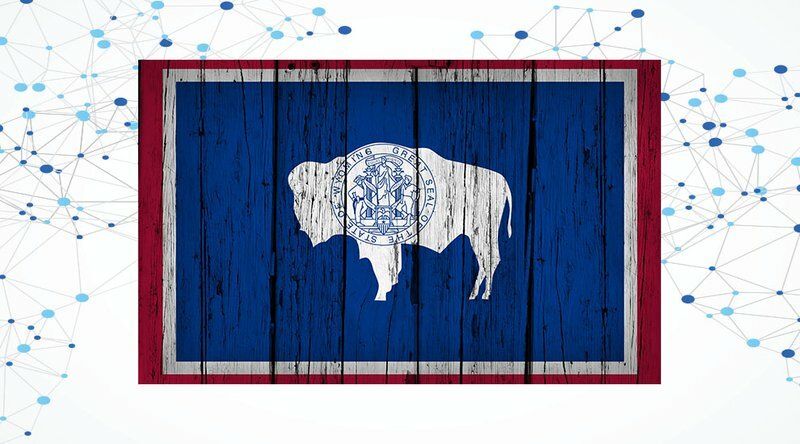 In a watershed moment for United States blockchain and cryptocurrency law, Wyoming’s House of Representatives unanimously voted “aye” to pass two blockchain bills – HB 70 the “utility token bill” and HB 19 the “bitcoin bill” – sending them to the State Senate for consideration. HB 70 defines utility tokens as neither traditional money nor securities; HB 19 exempts cryptocurrency from the 2003 Wyoming Money Transmitter Act (passed in the state before Bitcoin’s invention in 2008). In an interview with Bitcoin Magazine, Wyoming Blockchain Coalition co-founder, and 22-year Wall Street veteran, Caitlin Long, attributed much of the bills’ successes so far to teamwork between Wyoming banking and security regulators and the efforts of House of Representatives member Tyler Lindholm, who is a co-sponsor and advocate of all five blockchain-related bills. The token has not been marketed by the protocol developers as an investment opportunity. The protocol developer has not entered into a repurchase agreement of any kind or entered into an agreement to locate buyers for the token. Similarly, people who facilitate the exchange of an “open blockchain token” are not deemed traditional broker-dealers of securities. HB 19 exempts cryptocurrency from the Wyoming Money Transmitter Act. A 2015 interpretation of this act by the Wyoming Division of Banking made it impractical for cryptocurrency exchanges to operate in the state. As a result, Coinbase suspended operations in Wyoming indefinitely in June 2015. The passage of HB 19 moves Wyoming one step closer to cryptocurrency-friendly exchange regulation. Should the bill receive a majority vote in the Senate, exchanges such as Coinbase could resume operation in Wyoming. The Wyoming House of Representatives is also reviewing bills HB 101 and HB 126 in the House and SF 111 in the Senate. HB 101, the “blockchain filings bill,” promises to update Wyoming’s Business Corporations Act to authorize the creation and use of blockchains to store records, the use of a network address to identify a corporation’s shareholder and the acceptance of shareholder votes signed by network signatures. At a high level, HB 101 specifies requirements for all corporations using electronic network or (blockchain) databases. HB 101 has passed the first reading in the House. HB 126, the “series LLC bill” allows for the creation of “series LLCs.” This type of LLC structure is favorable towards decentralized protocols, as it enables LLCs to establish a compartmentalized series of members/managers, transferable interests or assets, and distributions to members. HB 126 has also passed the first reading in the House. SF 111, the “crypto property tax exemption bill,” has already been approved in the House, and its goal is to exempt cryptocurrency from Wyoming state property taxes. The bill is now awaiting consideration in the Senate. While HB 70 and HB 19 have both passed in the House by a vote of 60–0, they must also pass in the Senate to be recognized as official acts. I don’t want to sugar-coat that it won’t be difficult. The Senate is a more uncertain chamber. But, we have incredible momentum, and all we need [for the bills to become acts] is a majority vote in the Senate. Long and other Wyoming blockchain proponents hope for a final Senate outcome on HB 70, the “utility token bill,” and HB 19, the “Bitcoin bill,” as early as the middle next week.